You know that silly question that goes something like, “if you were stranded on a island and could only have one food what would it be?” I never really knew how to answer this question, and usually was too indecisive to come up with one in the time-span that whomever was asking the question would wait. 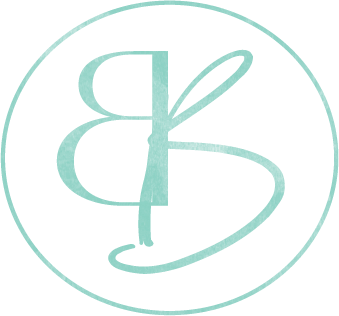 Yet as I continue to learn more and more about the human body through Chronic Lyme Disease, while also starting the PK Protocol, my answer to that seemingly insignificant question undoubtedly became one word, “fat.” Of course, some people (i.e. more than half of America) have fallen into the pit of lies that is “body fat = dietary fat intake,” and that you really only need to eat it when you are underweight. Yet this is so far from true, as real (not man-made), nutrient-dense fat sources are truly the best things we as humans can give our body. Without it, we cannot function, and though not everyone may be as sick as myself, I personally have found a HUGE dependence on getting as much fat into my day as possible (see my PK Protocol Diet post). Ultimately, it is this acceptance of eating fat, while also making it a big part of my life, that has brought me to today’s recipe. Before I go any further, I would just like to point out for those that are following the Autoimmune-Protocol, grass-fed ghee is in the first stage of food introductions, and therefore while it is not entirely “AIP-Friendly,” it certainly an amazing addition to your diet once beginning to heal. 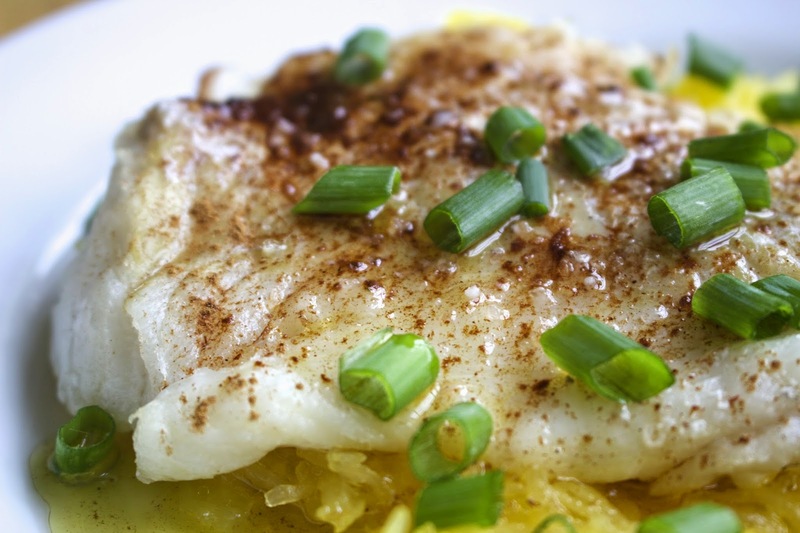 Served over a bed of roasted spaghetti squash, that has been tossed in warm ghee, bone broth, with a bit of salt, then topped with a few chopped scallions, this cinnamon ghee baked cod will have your mouth savoring every last bite. I was once told that ghee was “tasteless,” and therefore decided it probably wasn’t worth even trying to introduce into my diet, due to the reaction my body has to all dairy derived products. Yet, over time, I slowly was able to eat small amounts of raw, sheep dairy in the form of butter. This gave me hope that I’d be able to tolerate ghee, and after seeing Tin Star Foods brand pop up all over my social media channels, I thought I’d give it a try. My PK Protocol doctor, who has me on a ketogenic diet to help restore my body at a cellular level, also kept encouraging me to try ghee, and therefore became fully convinced I must get some. What makes ghee different than regular butter is that the milk solids have been removed from the cream, which makes it quite suitable for those that react to lactose and casein proteins. Tin Star Foods gets their 100% grass-fed cream from Ireland, where it is treated with 0 growth-hormones, antibiotics, or GMOs. Bottom line? It is to die for, and the description that it holds as “liquid gold” is no overstatement! So far, I think my body is welcoming the cultured ghee pretty well, and therefore, I have had quite some fun playing around with it in both sweet and savory recipes. That being said, I am not ashamed to admit that my absolute favorite way to eat it is simply straight out of the jar, with a spoon, sprinkled with a bit of sea salt. If I would have to describe it outside of being liquid gold, I’d say it tastes like caramel, with sweet undertones that are more delicate than normal butter. Outside from the magnificent taste, I love that the folks at Tin Star Foods address fat phobia, by stating that their products are full of tonalin CLA (Conjugated Linoleic Aicd – “a fatty acid that packs a punch, crucial in maintaining a healthy metabolism and weight.”), vitamin D, and other essential nutrients necessary for us humans. Final thoughts? Go buy some ghee, and then come back and try this recipe, as it is seriously one of the easiest, most delicious ways to eat fish that will win over both your heart and tastebuds. As a note, if you are looking to serve it to more than one person, just double, triple, quadruple (and so on and so forth…) the ingredients for the amount of people you are serving. Then again, if you are anything like me, sharing your precious ghee might be hard, though I still highly encourage it. Preheated your oven to 400 degrees. 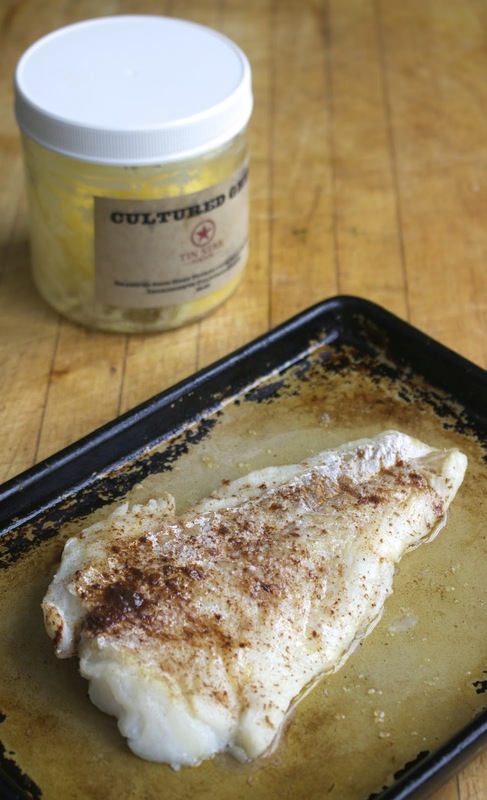 Place your cod a well-seasoned baking pan, and sprinkle with sea salt and cinnamon. Dollop 1 tbsp of ghee on top of the cod and place it in the preheated oven to bake for 10 minutes until opaque. 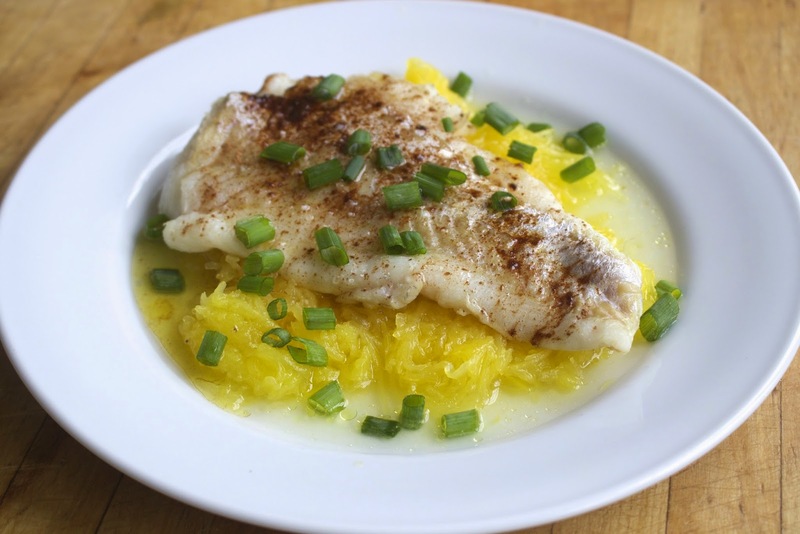 Serve fish over a bed of roasted spaghetti squash that has been tossed with more ghee and enjoy! How long you cook your cod will depend on the thickness, mine was under an inch thick. This recipe is for one person, so simply adjust the amount of ingredients according to the amount of people you are serving.